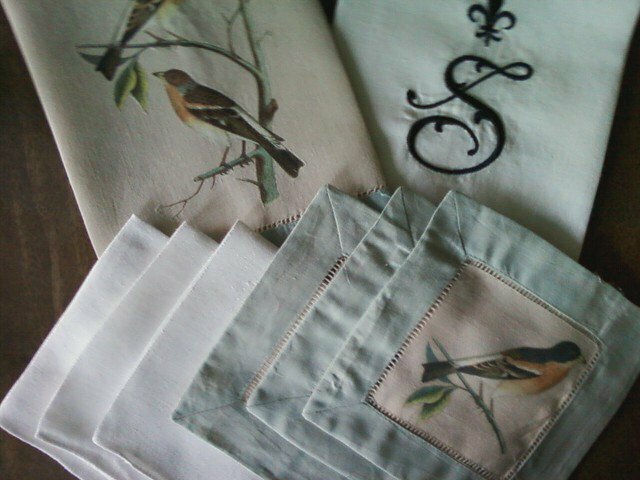 Normally, we try to avoid manual labor on Sunday, but yesterday we were overcome with the urge to iron the linen napkins and tea towels. Perhaps because they had just been laundered and were looking pitifully wrinkled in a pile on the dining room table, begging to be starched and pressed. We obliged and are feeling quite pleased with ourselves. Much better. Now we can rest easy. What do napkins have to do with etiquette? Well, there are a few rules of thumb regarding napkins that we thought we’d review. Fold your napkin and half with the fold toward you on your lap upon sitting down to a meal. Leave it on your chair (not on the table or on your plate) if you have to excuse yourself from the table, then place it back in your lap upon your return. Place it unfolded, but not wadded up next to your plate or in front of you on the table when you are finished dining. Place it unfolded on your lap during afternoon tea, during a shower or another type of gathering with heavy hors d’oeuvres served buffet style or where you’ll be seated in a living room or away from a dining table. Put it on the table until you are finished with your meal. Throw it on your plate. Tuck it into your shirt. There you have it, Napkin 101. Bon apetit! Scroll to the bottom for links to follow Spencer on Facebook, Twitter, Instagram and Pinterest.